The aim of the project was to digitize an area of ca. 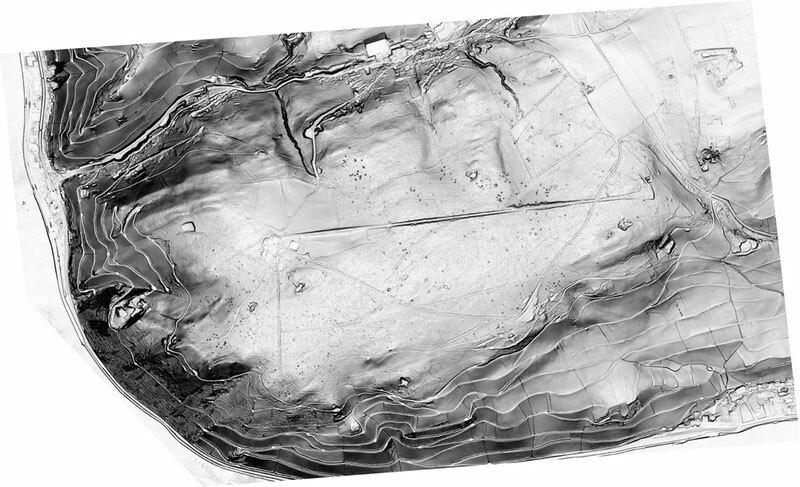 9 km² situated close to Ruedensheim am Rhein (Germany) using Airborne Laserscanning (LIDAR) and subsequently the subject specific processing and vegetation filtering of the survey data. In close collaboration with the client, the first step was to plan and define the required polygons. 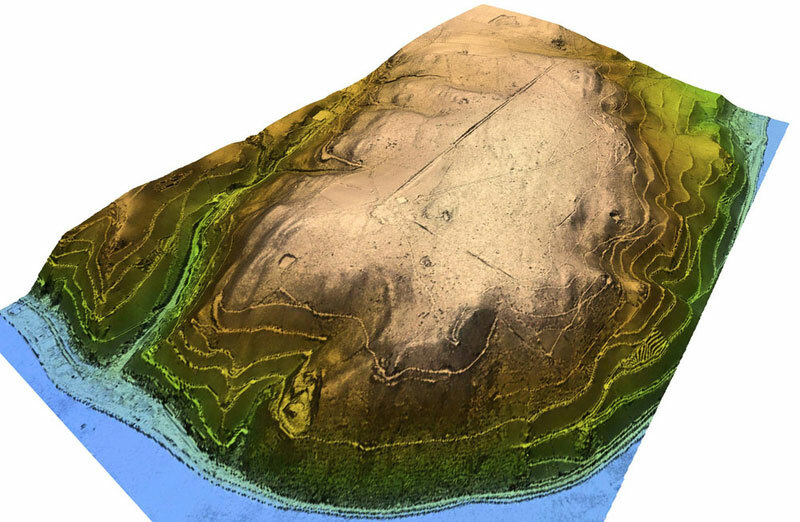 The area was documented in 3D with high point density using an ALS system. The actual flight mission to scan the area was carried out in spring 2013. The resulting high-resolution scan is notedly useful. 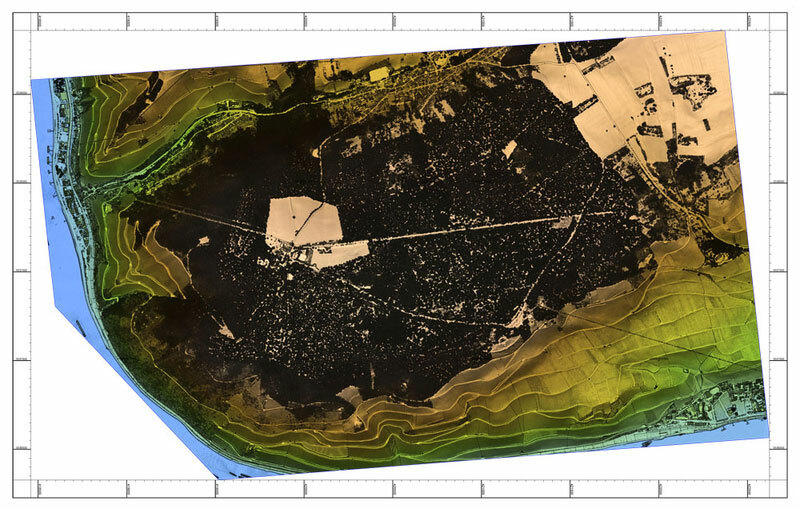 An almost ideal result in terms of quality was achieved in this LIDAR flight which was carried out at the beginning of the vegetation phase. 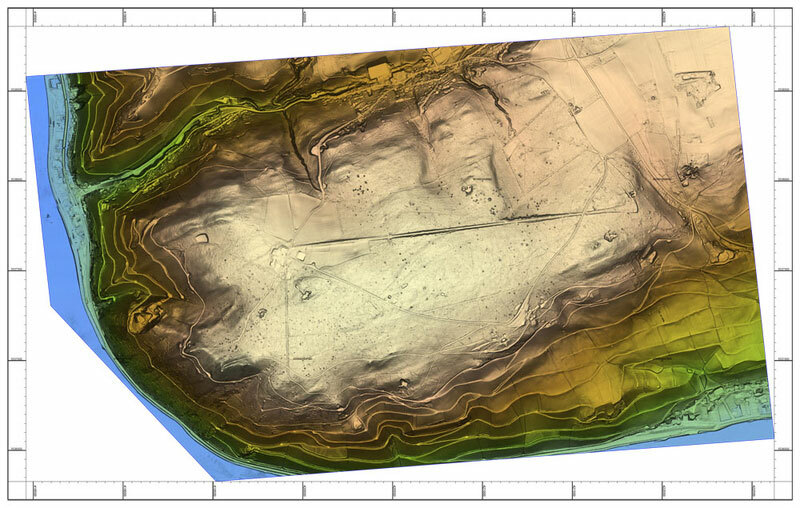 On the basis of the Digital Terrain Model, a first archaeological evaluation (without an actual site inspection) was carried out. Many potentially archaeological areas could be defined. The scans also reveal that the area suffered greatly, showing the effects of bombing and shelling. At the end of World War II the area was utilized for “target shooting exercises”, which explains the numerous craters.